Can a Driver be Too Drunk to Commit Murder? 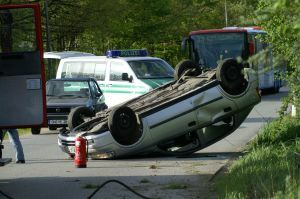 Drunk driving accidents are devastating for victims, especially when they result in serious injury or even death. Intoxicated drivers who take someone’s life when they are driving drunk are subject to both criminal sanctions and civil liability in order to punish them for what they have done and to try to compensate devastated family members for a loss that can never be erased. Now, however, Business Insider reports that some drunk drivers are trying to escape murder convictions by arguing that they were “too drunk” to be guilty of murder. Our Boston drunk driving accident lawyers know that the risks of drunk driving are widely publicized and that every single driver on the road should be aware of the laws prohibiting drunk driving. With motorists knowing how dangerous drunk driving is, it is difficult to make the argument that an intoxicated driver should be able to avoid a murder conviction by using the excuse that he was too drunk to commit the crime. Drunk drivers who cause fatal accidents can be charged with a number of different crimes, including not just drunk driving but also involuntary manslaughter or negligent homicide. The specific crime that a drunk driver will be charged with when he has caused a death can vary by state and can vary depending upon the situation. Some drunk drivers, however, are charged with second degree murder. According to Business Insider, several drunk drivers who were convicted of this charge are the ones challenging their convictions in the highest court in New York. Under the laws in the state, prosecutors who charge drunk drivers with second-degree murder must show that the defendant had a “depraved indifference” for human life. In a 2006 case called People v. Feingold, the court of appeals held that depraved indifference is a state of mind, which means that prosecutors in New York now have to show that the defendant consciously showed an utter disregard for the value of human life. Three drunk drivers who were convicted of second degree murder argue that they were too drunk to actively form this state of mind. One of these drivers drove his pickup truck the wrong way down a state parkway after a ten hour drinking binge, while another was driving naked on ecstasy, going eighty-miles per hour after a fight with her mother. The third also drove in the wrong direction for five miles on a state parkway. All three say they didn’t show a depraved indifference for human life because they were so impaired they didn’t know they were putting people’s lives at risk. It remains to be seen whether the court will find this argument a convincing one and overturn the second-degree murder convictions of these three drunk drivers. However, there is a strong argument to be made against overturning the convictions. The drivers may not have known what they were doing when they were going the wrong way down the road, but they did make the conscious choice to take drugs or drink before getting into a car. The victims who died as a result of their actions didn’t get to make a choice about their fate.